The holiday shopping season is upon us with Black Friday just around the corner. For those shoppers planning to hit the stores over the holiday, we have compiled a complete list of opening times on Thanksgiving and Black Friday that have been announced to date. Big Lots: Open 7 a.m. to midnight on Thanksgiving. 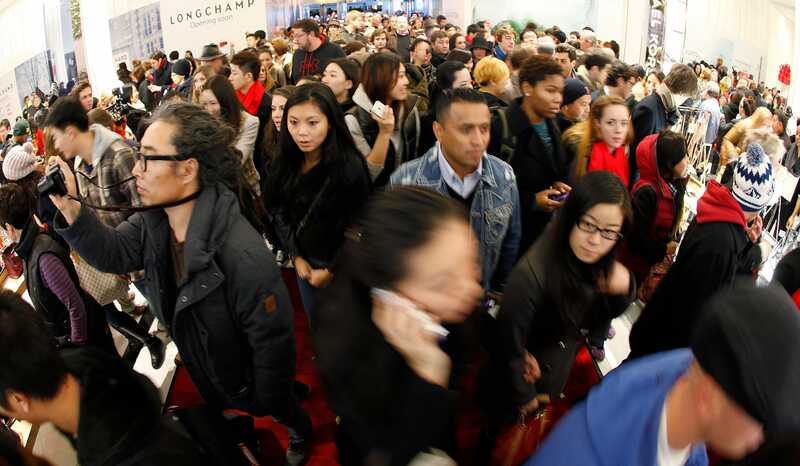 10 p.m. Will reopen 6 a.m. on Black Friday. Best Buy: Open 5 p.m. to 1 a.m. on Thanksgiving. Will reopen 8 a.m. on Black Friday and close at 10 p.m.
Dollar General: Open 7 a.m. to 7 p.m. on Thanksgiving. Will reopen on Black Friday. hhgregg: Open 4 p.m. to 12 a.m. on Thanksgiving. Will reopen 7 a.m. to 10 p.m. on Black Friday. Michael’s: Open 4 p.m. to 2 a.m. on Thanksgiving into Black Friday. Will reopen at 7 a.m. and close at 10 p.m. on Black Friday. Office Depot/OfficeMax: Open 6 p.m. to 9 p.m. on Thanksgiving. Will reopen at 8 a.m. on Black Friday. Old Navy: Open 4 p.m. Thanksgiving Day to 11 p.m. Black Friday. RadioShack: Open 8 a.m. to noon on Thanksgiving. Will reopen 8 a.m. om Black Friday. Sports Authority: Open 6 p.m. to 12 a.m. Thanksgiving. Will reopen 6 a.m. Black Friday. Staples: Open 6 p.m. to 10 p.m. on Thanksgiving. Will reopen 6 a.m. on Black Friday. Victoria’s Secret: Open 6 p.m. to 1 a.m. on Thanksgiving. Will reopen 6 a.m. on Black Friday.